Each of us are alive for a very limited time. What if we could live not just for a century, but for millennia? What if there were a way for us to never die? Is such a thing even remotely possible? It may not only be feasible; it may very well have been achieved in the distant past. Ancient aliens may well have uncovered the secrets behind slowing, and ultimately completely stopping, the aging process. 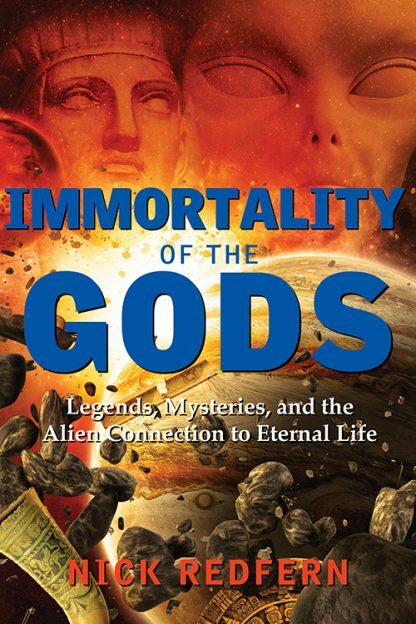 History is filled with accounts of fantastic beings, powerful gods, and half-human/half-alien entities that had extraordinarily long lifespans. Many such stories are now largely dismissed as nothing more than the stuff of legend, folklore, and mythology. But what if the accounts are all too real? The story of the legendary Anunnaki, how they achieved everlasting life, and why they shared their secrets with Noah, Methuselah, and other biblical figures. The saga of Gilgamesh, a long-lived part-human, part-extraterrestrial Sumerian ruler who was obsessed with immortality. A study of the claims that one of the reasons for the 2003 invasion of Iraq was to uncover the millennia-old secrets of white powder gold, a manna-like substance that supposedly rejuvenates cells and tissue. Nick Redfern is the author of numerous books on conspiracies and paranormal and unexplained mysteries. He has appeared on more than 70 TV shows, including Fox News; the BBC�s Out of This World; the History Channel�s Monster Quest, America�s Book of Secrets, Ancient Aliens, and UFO Hunters; and the National Geographic Channel�s Paranatural. Originally from the UK, Nick lives near Dallas, Texas.